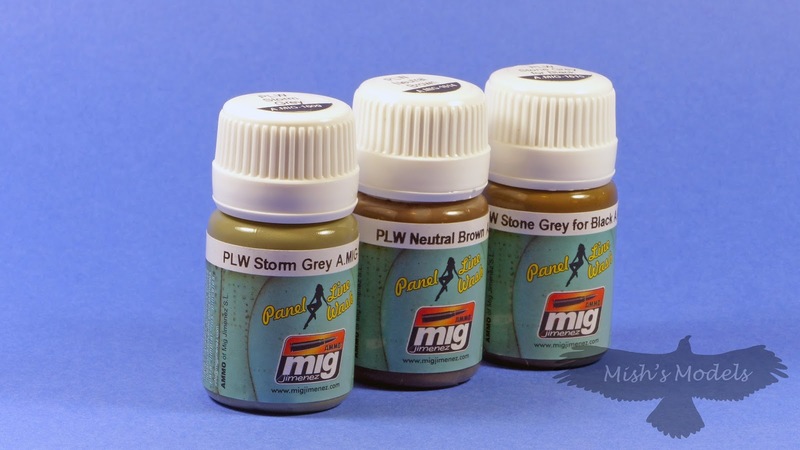 I have heard good reports about mig AMMO Panel Line Washes (PLW), so I decided to give them a try. 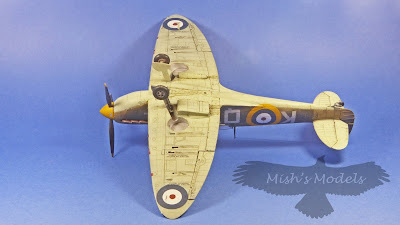 Having never used enamel based washes before I did a little research, referencing mig AMMO's YouTube channel, the mig AMMO Weathering (Planes) magazine and got some excellent advice from my good friends Lloyd King and Dave Oliver. 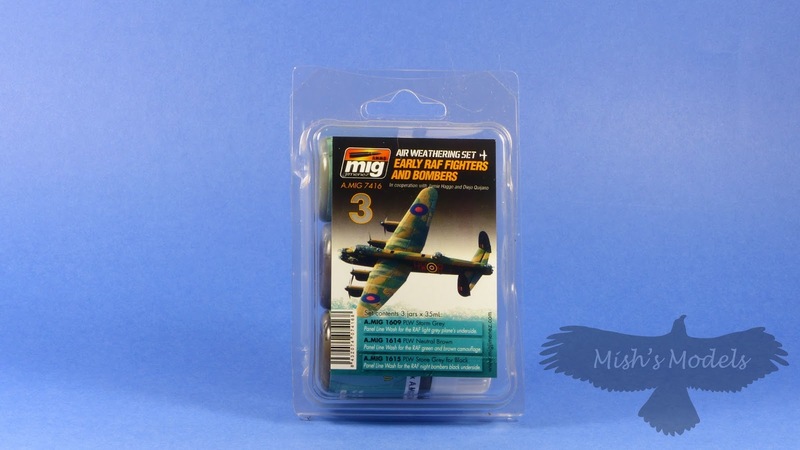 As a test I chose the RAF Fighters and Bombers pack as I was in the middle of my 1:32 Revell Spitfire Mk.II build and thought this would be a good opportunity to give them a try. The set consists of three washes. 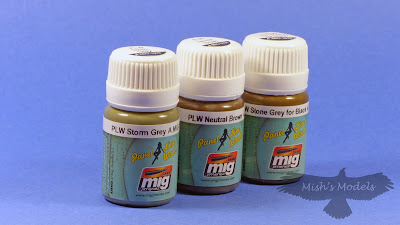 Storm Grey, Neutral Brown and Stone Grey. The bottles are about the same diameter as Tamiya/Gunze bottles so fit nicely into at rack designed for 36mm bottles. I won't got into the technique for using them here but I found that they needed to be left to dry, once applied to the model, overnight before removing the excess. Once removed the overall finish is subtle as can be seen on my Spitfire. 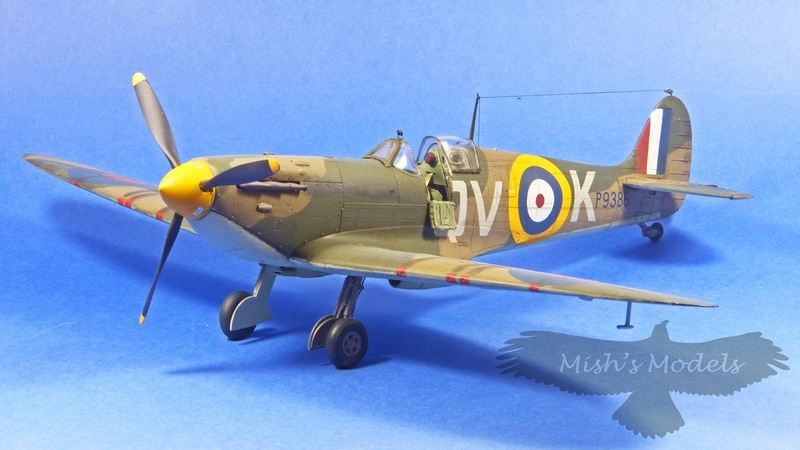 As long as you use the recognised method of application and removal of excess wash then you shouldn't go wrong and finish up with a lovely subtle panel finish on you model. I highly recommend these washes. I've already added another two sets to my wash collection.